Home fi8908w Foscam hardware ip camera Some branding at last! Foscam is primarily a OEM producer and therefore always left their products open to custom re-branding. 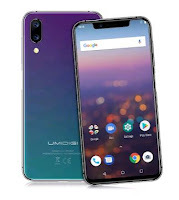 Over time, they acquired some popularity (probably due to both their firmware evolution and their present customer support) but it was nearly impossible to distinguish their products from others if you wanted to buy from them. This is about to change finally as, starting with the December production, their product range will now carry a distinctive "Foscam" label. Another small change will be the presence of the "IR Night Vision ..." sticker on the focus rim but this is already common amongst the clones. So, provided that eBay resellers update their pictures, it should now be easier to buy a Foscam camera when you want one. Thanks for the update, and the valuable information provided in this forum. Before finding this forum, I purchased 4 IPCAM02 , off ebay, look like the FI8908W. I am somewhat pleased, given what I paid for them, and the fact they do work. The biggest drawback has been lack of documentation provided with the item, however this forum has been most helpful, in fact, some of the information found here, is nowhere in the documentation. I am more than happy to take good pictures of the cam, as well as the boxes they came in, and the c-d that was provided, if it would be useful. Given the information you have just provided (12-17-09), can I “assume” that the “unbranded” units which are on eBay are foscam unbranded? The reason for my question is the temptation to upgrade the firmware, which I have read about here. Before trying the firmware updrade, it would be safe to contact Foscam directly with the Device ID appearing in the Device Status page. they will tell you for sure. The format of the firmware version (11.14.1.42, 11.14.1.43, 11.14.1.46,...) would give you a clue. If it's any different, then the fw may not be compatible. Be careful, it only takes 10" to brick it. that camera lens in that pic is much different to mine! They really started that in December 2009, so if your camera was manufactured before (you can see it on one of the sticker on the base), it may not have any printing on the lens ring and other label. Eventually the only way to find out for sure is to contact Foscam with the deviceID. I wanted to let you know that I have quite a few Foscam FI8908W and FI8904W available for sale from my locations in New York City and Houston Texas. We ship to the US and Canada only. 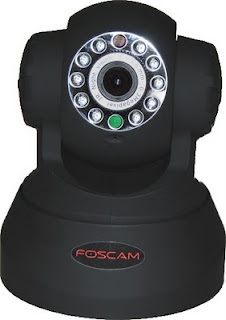 All our cameras are 100% authentic and we are listed as official USA distributors on the Manufacturer's website under the contact us page (http://foscam.com/ContactUs.asp). You can view the pictures of our cameras at our website under the products section. Also, you can Google us at "Foscam US"
We provide complete after-sales technical support. We have re-written the installation instructions in language that is clear and understandable. In addition, we have created a tutorial on how to setup your wireless router so that your Foscam is viewable over the internet. Newer Foscams are now even easier to distinguish: they have the logo printed on the box and on the device itself (on the white device in black, on the black device in white). Just got myself 4 of these babies directly in Hong Kong (company recommended by Foscam). At 63USD a pop I figured you really cannot go wrong. Will be back for tips and tricks once the home installation starts..
Any idea if you can turn the IR LEDs off? If so, how? Thanks. on this french forum (use Google Translate), they explain a method to connect the leds to the relay, which allows to turn them on/off from the WebUI (the links icons). I didn't test it, but do it at your own risk. Otherwise just put tape on them.